In a country like India, people survive on small businesses. E-Rickshaws are a new stepping stone in the transportation sector of India and it is becoming a very plausible and profitable small business opportunity. India is a country of small businesses. Most of the population in this country thrives on the concept of ‘jugaad’. The concept of pulling in all your available resources into making a living in your life is the life blood of the Indian mentality. This prompts many problems for many people. Depending on the economic stability, the earnings of the population goes up and down. So people in India are always on the lookout for the best small business ideas. Be it opening a roadside eatery or selling clothes by the busy sidewalk or a dealership of any kind, small business ideas take shape out of nothing in India. E-rickshaws are a bright new business opportunity and many in this country are latching on to this hot new idea like bees to a pot of honey. Eco-Friendly- We are living in times of extreme pollution in our cities. The world health organisation says that India is one of the most polluted counties in the world and thousands of people die every year in Indian cities from excessive pollution. E-rickshaws are an eco-friendly mode of transport. They produce no emissions as they run on batteries which are charged through an electrical point. Less Sound Pollution- E-rickshaws are a battery operated motor based vehicle. This technology comes with the quirk of being silent. The whirring noise of a motor running on gas contributes to the immense amount of sound pollution of our metro cities. Safety- e-rickshaws are safer than auto rickshaws that run on gas. These auto-rickshaws have a tendency of catching on fire owing to the poor quality fuel used in its tanks to run them, but e-rickshaws are free from that problem. Maintaining Your Vehicle- Maintaining an e-rickshaw is a very cheap since the vehicle does not have an engine and thus the gear box does not make much. This brings down the maintenance cost dramatically. E –rickshaws are a pretty profitable business in India under the current circumstances. Here following are a few ways to do an e-rickshaw business properly. E-Rickshaw Dealership- E-rickshaws are now a primary mode of transport that the government is pushing actively into the urban and the rural sector. Many traditional rickshaw pullers are buying e-rickshaws, exchanging their old analogue paddle rickshaws with the e-rickshaws. Also another important factor in the rise of e-rickshaw demand is the fact that many micro-financing organisations are giving loans on very cheap interest rates to buy e-rickshaws. 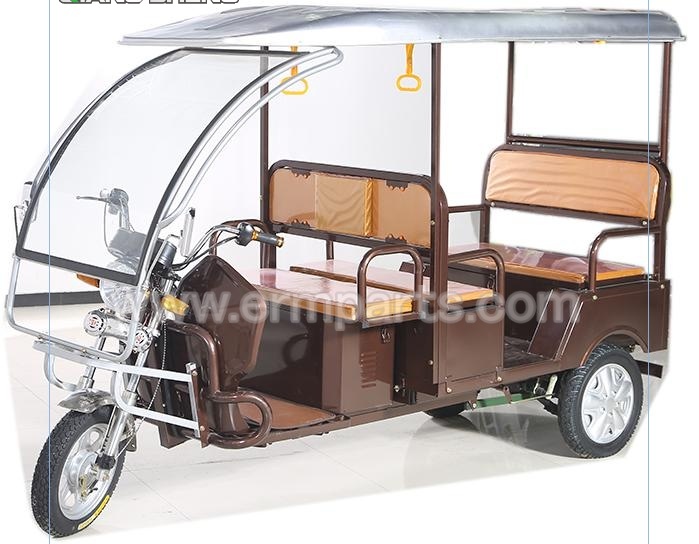 An e-rickshaw dealership is thus a very lucrative business opportunity for any prospective entrepreneur. Renting out E-Rickshaw to Drivers- Another way you can earn by owning e-rickshaws is by renting out your vehicle to the drivers on daily or a weekly basis. Maybe you yourself are a professional doing a different job, but if you buy a few e-rickshaws and rent them out, many people will be interested in plying them on the roads by hiring them from you. Thus it is a very good side business for you.